' Despite constant efforts to declutter your home, do papers still accumulate like snowdrifts and clothes pile up like a tangled mess of noodles?Japanese cleaning consultant Marie Kondo takes tidying to a whole new level, promising that if you properly simplify and organize your home once, you’ll never have to do it again. Most methods advocate a room-by-room or little-by-little approach, which doom you to pick away at your piles of stuff forever. The KonMari Method, with its revolutionary category-by-category system, leads to lasting results. In fact, none of Kondo’s clients have lapsed (and she still has a three-month waiting list). I enjoyed reading that book. I love how Marie Kondon writes. It's fluid. It contains extracts from her personnal life and her experience as a tidying expert. You can find several chapters organized by theme. 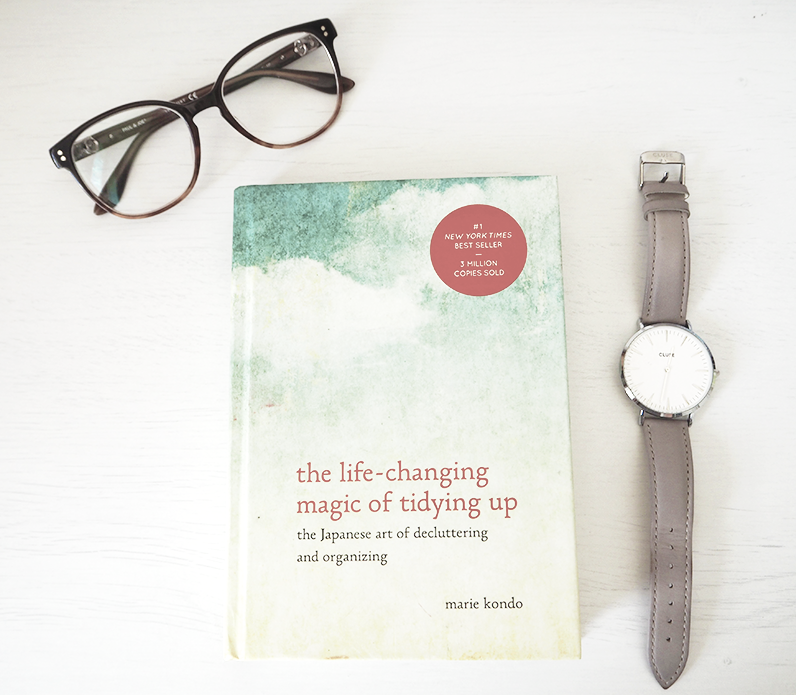 The book gradually takes you on your tidy journey. She shares tips and tricks on how organize and simplify your home. I love how she somehow gives us pieces of her Japanese heritage. She brushes through the Japanese culture and tradition. 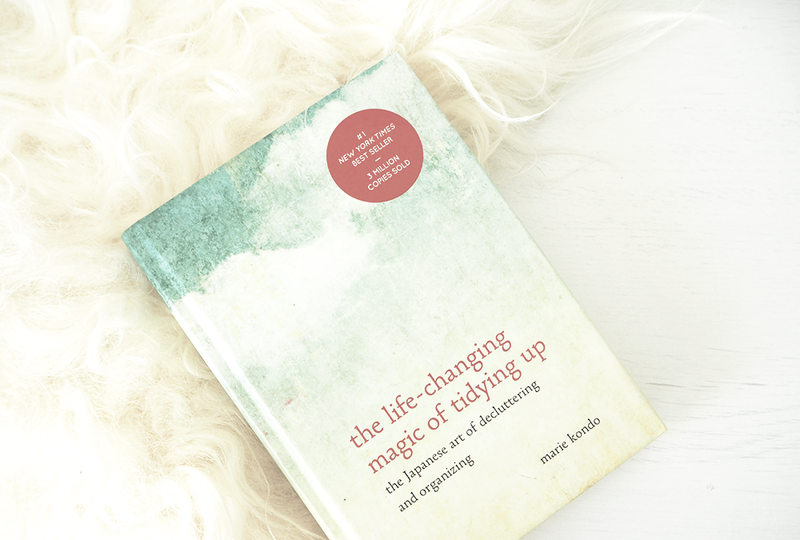 She is guiding us through what she calls the ' sparking joy of tidying up. ' If you're anything like me - and Marie Kondo, yes, we're pals now. well not really but... - that is to say you love pretty and tidy things then you'll probably like this book. After all, it's a damn book about tidying up! HAS IT CHANGED MY LIFE? As much as I want to say yes, it's just a book. I'm a tidy person. I've always ended up tidying and caring after people. However, I do feel like this book has influenced my life. I can relate to Marie Kondo. She fights to make the world a better place, a tidy house at a time! This book had a lot of success when it came out. It was a #1 NY Times bestseller with more than 3 million copies sold. I find that fascinating. In the end, her book probably changed lives. 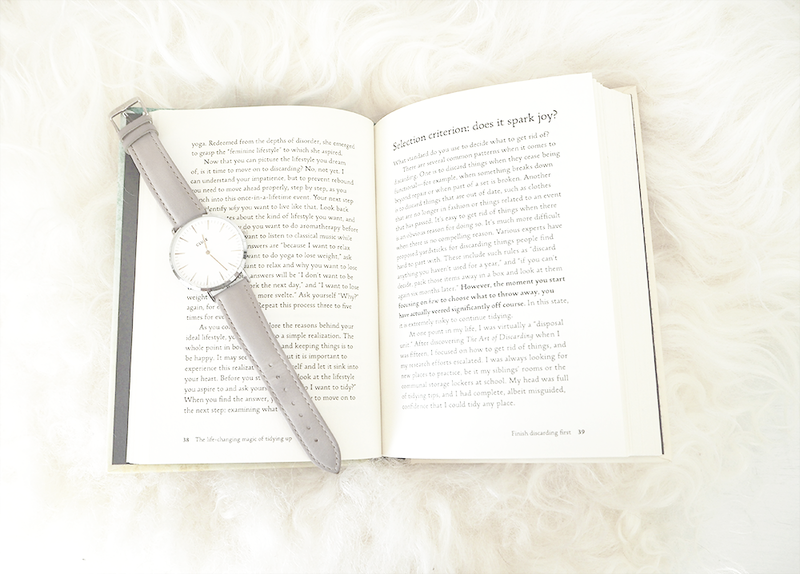 - and most definitely, her book must have been a life-changing experience for her. So that's always good! Have you read this book? Have you read any books that changed your views on life ? I hope you enjoyed this blogpost. Don't forget to subscribe on bloglovin... You can also find me on twitter and instagram.